Designed to work specifically with M-Audio hardware peripherals, Digidesign® Pro Tools M-Powered software gives M-Audio hardware enthusiasts access to the recording industry's most popular audio/MIDI production software for recording, editing, and mixing music. Pro Tools M-Powered software works with a variety of M-Audio peripherals, including the Audiophile 2496, Audiophile 192, FireWire 410, FireWire 1814, and Ozonic — the integrated 37-key audio/MIDI FireWire interface and controller. Bus-powered M-Audio FireWire peripherals provide a new generation of completely portable Pro Tools workstations. With up to 32 simultaneous tracks of 16- or 24-bit digital audio and support for sample rates up to 96 kHz, Pro Tools M-Powered software lets you capture full arrangements with exceptional fidelity. A fully integrated MIDI sequencer also enables you to record, edit, and mix up to 256 MIDI tracks alongside your audio. Fine-tune performances with the unmatched nondestructive editing capabilities of Pro Tools and polish mixes using the more than 30 included DigiRack and Bomb Factory plug-ins. When you're ready, you can easily augment your plug-in collection with Producer Factory and Producer Factory Pro plug-in bundles, which add impressive professional plug-ins at affordable prices. Pro Tools M-Powered software also gives you access to a wide range of additional third-party plug-ins from Digidesign Development Partners. 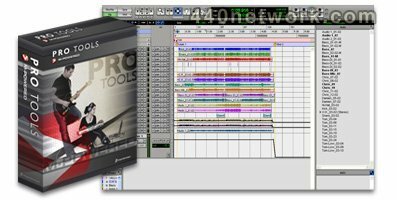 Sessions created with Pro Tools M-Powered software can be opened with any Windows XP– or Mac OS X–based Digidesign Pro Tools TDM or LE system so you can collaborate seamlessly with other musicians and take your projects to Pro Tools|HD–equipped recording studios to have them mixed by pros. 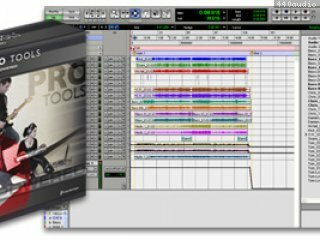 With Pro Tools M-Powered software, you instantly become a member of the largest community of digital audio workstation users in the world. Note: DigiTranslator is not compatible with Pro Tools M-Powered software. Launching or removing a plug-in in Pro Tools could cause a crash or kernel panic. Additionally, instability can occur when using three or four processors set for RTAS. Pro Tools M-Powered 6.8r2 for Tiger is now officially qualified with all M-Audio devices supported with version 6.8 for Panther. Compatibility with Mac OS X 10.4.x ("Tiger").